After leading Kalamazoo College for eleven years, Eileen Wilson-Oyelaran was appointed President Emerita in July, 2016. During her tenure she raised over $129 million to support scholarships, endowed professorships, and the creation of the Arcus Center for Social Justice Leadership. Under her leadership, Kalamazoo College revised its curriculum, became significantly more diverse and made considerable strides toward becoming an equitable and inclusive campus. 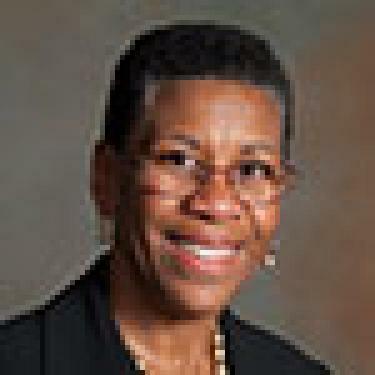 Prior to Kalamazoo College, Dr. Wilson-Oyelaran served as Professor of Education and Vice President and Dean of the College at Salem College in Winston-Salem, North Carolina. She also held teaching and administrative positions at Winston-Salem State University, North Carolina Wesleyan College and Obafemi Awolowo University (Nigeria). Her primary areas of scholarly interest are early child development and education in cultural context and she has published extensively in these areas. She served as a consultant for UNICEF (Nigeria) in the area of childcare and development and chaired a community-wide task force that developed a program to ensure that every four year old in Kalamazoo County has access to a high quality pre-kindergarten experience. Recognized for her expertise in the area of cultural diversity, Dr. Wilson-Oyelaran has worked with faculty in higher education and K-12 to improve educational outcomes for women and students from underrepresented groups. She serves on the Advisory Board of the National Museum of African Art, and as trustee of Pomona College and the W. E. Upjohn Institute for Employment Research. Dr. Wilson-Oyelaran is past chair of the Association of Governing Boards (AGB) Council of Presidents and the Board of Directors of the National Association of Independent Colleges and Universities (NAICU). Other prior board service includes the Council of Independent Colleges, Kalamazoo Community Foundation, the Bronson Healthcare Group, Southwest Michigan First, and United Way of Battle Creek Kalamazoo Region. Dr. Wilson-Oyelaran has been accorded recognition for her leadership in higher education and her work on behalf of women and girls. She is a recipient of the 2016 Star Award from the Posse Foundation, 2011 Kalamazoo County YWCA Life Time Achievement Award, 2005 YWCA Forsyth County Woman of Vision Award; the Salvation Army Strong, Smart, Bold Award and the 1999 Gender Equity Architect Award from the American Association of Colleges of Teacher. Other acknowledgements include the Kent and the Ford Foundation national fellowships for graduate study, the Thomas J. Watson Traveling Fellowship, and the Black Studies Center Visionary Leadership Award presented by the Claremont Colleges Intercollegiate Office of Black Studies. She obtained a B.A. in Sociology from Pomona College and an M.A. and Ph.D. in Education from the Claremont Graduate University.